JAINA Newsletter:Youth Exchange Program 2018, Mantra Chanting Program in Visakhapatnam, etc..
We are extremely delighted to welcome twelve young Jains from India under the Jain Youth Exchange Program (JYEP). These young jains were sponsored for this program by JAINA, Jain International Trade Organization (JITO), and BJS in India with the help of various Jain centers in USA. During this visit, these students will get the opportunity to meet people from other countries, to experience new cultures, and also to plant the seeds for a lifetime of international understanding. Details on the program are given below. Jain Center of Connecticut (JCC) signed an MOU with Hindu Cultural Center of Connecticut to build a Jain Derasar within Hindu temple premise. JCC is planning to get the Derasar ready prior to Prayushan 2018. Read more about it below. YJA Convention 2018 at Chicago is just round the corner, buliding up all the excitement amongst the youths. It’s great to know that more than 750 people have registered for the Convention. I, as a president of JAINA, would like to wish you all another successful YJA Convention for 2018! All unenlightened people produce sufferings. Having become deluded, they produce and reproduce sufferings, in this endless world. Q 1: Who is Siddha Bhagwant? Q 2: Where are the Siddhas? JAINA in collaboration with JITO and BJS sponsors and coordinates the Jain Youth Exchange Program [JYEP] 2018. Last year, five-hundred students took the exam and twelve students were finally selected after undergoing two personal interviews. This year over seven hundred-fifty eligible candidates applied from all across India and only 12 were selected. These are few of the best and brightest Jains students across India. This program brings twelve Jain Exchange students from all across India to the USA and are hosted by Jain families. This is the fourth Year of this program. This program will be conducted for three weeks from 15th June to 10th July 2018 across 5 cities: Boston, New York, Washington DC, San Francisco and Chicago at the Young Jains of America Convention. During their stay they not only visit various monuments and temples but also meet entrepreneurs and industry leaders. After they arrive in the USA, they undergo a rigorous program of cultural and professional exchange of ideas and learning. They are given ninety minutes of time with business and professional leaders in the field of finance, technology, engineering medicine, law, real estate, hospitality, media, arts, gems and jewelry, government, interfaith, academics etc. 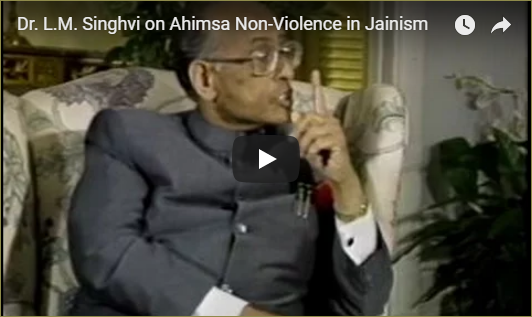 The Jain Youth Exchange Program is ranked as one of the most powerful ways to promote a Jain way of life. It intends to provide hundreds of young students with the opportunity to meet people from other countries and to experience new cultures by planting the seeds for a lifetime of international understanding. The program offers numerous benefits not only to its young participants but also to their hosts, mentors, local Jain Centers as well as to the community at large. Through Jain Youth Exchange, students learn firsthand about different aspects of life in another country. As their concept of the world expands, they mature and develop a deeper understanding of themselves. Immersion in another country's value system enhances their academic and personal growth. Host Jain Centers, their families and the entire community are enriched by extended friendly contact with someone from a different family/culture. 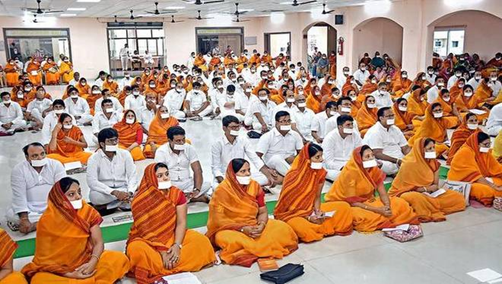 Last sunday, many Jain took part in a mantra chanting program which was organized by Terapanth Yuvak Parishad in Visakhapatnam, India. Jain Acharyas and Sadhus have made many mantras for various purposes. Bhaktambar stotra is one of the very powerful mantras in Jain dharm which was compiled by the first Jain Tirthankar, Rishabhdev Bhagwan. One of the munis at the event said that every word could become a mantra, if it is chanted in a proper manner, and helps to achieve eternal peace and harmony. He also added that mantra chanting is gaining popularity in western countries to cure many chronic diseases. Another muni said that with the help of mantra one could bring love, harmony, peace, and respect among fellow human beings. Jain Center of Connecticut (JCC) signed a memorandum of understanding with Hindu Cultural Center (HCC) of Connecticut to build a Jain Derasar within Hindu temple premise. HCC will provide a dedicated room for Jain Derasar by the end of June 2018 and an additional room for expansion once they finish construction of their new building. JCC is trying hard to get Derasar ready prior to Paryushan in September 2018. Jinchandarji Maharaj will visit JCC in Connecticut and conduct pravachan (lecture) for our community members on 6th July 2018. Ten high school students from JCC will also attend YJA Convention 2018 in Chicago. Combine all the ingredients along with approx. ½ cup of water in a deep bowl and mix well. Heat the oil in a deep non-stick kadhai, drop spoonfuls of the batter into it and deep-fry a few pakodas at a time on a medium flame, till they turn golden brown in color from all the sides. Drain on an absorbent paper. Keep aside. Combine curd, besan, turmeric powder, salt and 2 cups of water in a deep bowl and mix well using a whisk. Keep aside. Heat the oil in a deep non-stick pan, add the cinnamon, cloves, red chilies, cumin seeds, fenugreek seeds, ginger, curry leaves and chilli powder and sauté on a medium flame for a few seconds. Add the curd-besan mixture, mix well and cook on a medium flame for 5 minutes, while stirring occasionally. Add water if needed. 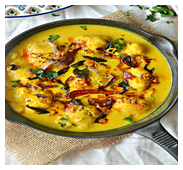 Just before serving, add the pakodas to the hot kadhi, mix gently and cook on a medium flame for 1 to 2 minutes, while stirring occasionally. 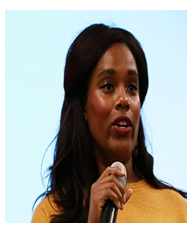 YJA Daytime Programming Committee is pleased to announce the 2018 YJA Convention keynote speaker - Nikita T. Mitchell, the founder of "Above the Bottom Line", a platform dedicated to keep readers informed on how the world’s most influential companies are taking stances on important issues. She has spent much of her career focusing on women's empowerment, encouraging young women to follow their dreams and passions despite perceived gender barriers. YJA team is so excited to welcome her to YJA Convention 2018! A 1: Siddha Bhagwants are the souls who liberated from this world forever. A 2: Siddhas are at the Siddhashila, the final resting place for the liberated souls. This is the abode of the Sidhhas. (Lokakash).